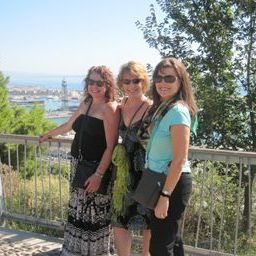 My two law partners and I just returned from a lovely 8 day trip to Spain and thanks to Nicole Andrus and Sophie Carralott and their company Niso Wine Tours, we had a fabulous time in a wonderful country. Our accommodations, from the four bedroom apartment in a very quaint part of Barcelona, to the beach front hotel in Sitges, to the Villa in the wine country, were perfectly charming and wonderful. Our guides and drivers were delightful professionals. The meals were spectacular and we were treated like royalty by Nicole and Sophie. Our wish was their command. This is the premier tour company in Spain and we highly recommend you schedule your next great trip to Spain with Niso. Their knowledge and love for the country shine and make your time there magical. Terri Harrington, Attorney from Denver Colorado.